The Regional Workshop on achieving equitable access to water and sanitation: from assessment to action under the UNECE-WHO/Europe Protocol on Water and Health (http://www.unece.org/fileadmin/DAM/env/documents/2000/wat/mp.wat.2000.1.e.pdf) to the UNECE Convention on the Protection and Use of Transboundary Watercourses and International Lakes (Water Convention) (http://www.unece.org/fileadmin/DAM/env/water/pdf/watercon.pdf ) was held on 21-22 March 2016. To review progress of the work on assessing equitable access to water and sanitation under the Protocol on Water and Health, inform the development of the draft Strategic note on action plans to achieve equitable access to water and sanitation and guide future activities in this area in the 2017-2019 work programme under the Protocol on Water and Health. Progress of the work on assessing equitable access to water and sanitation under the Protocol on Water and Health was reviewed. The outcomes of the discussion will inform the development of the draft Strategic note on action plans to achieve equitable access to water and sanitation and guide future activities in this area in the 2017-2019 work programme under the Protocol. Documents are available at: http://www.unece.org/index.php?id=42097#/ . 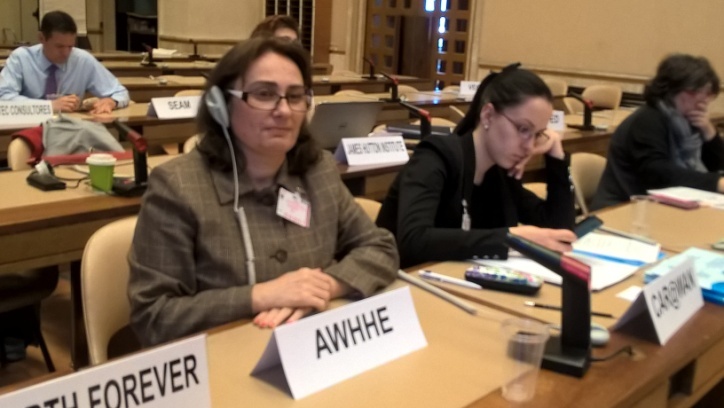 Emma Anakhasyan, Armenian Women for Health and Healthy Environment (AWHHE) attended the workshop and informed about the progress of the Armenian project entitled Self-assessment of Equitable Access to Water and Sanitation in Armenia.